Having cut the cable cord, you may glance at the current landscape of big cable providers snapping up slightly-less-big-though-still-large rivals and decide that these megadeals have nothing to do with you. After all, you’re getting your entertainment from other sources—over-the-air antennas, online streaming services, and the like. 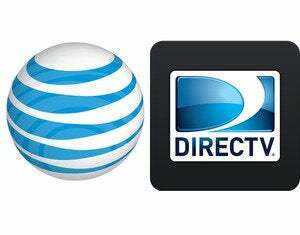 What’s it matter to you if AT&T buys up DirecTV or Comcast absorbs Time Warner Cable? Quite a bit, as it turns out. Because it seems like one of the primary motivators for big cable providers getting even bigger is to make cord cutting an unattractive proposition. AT&T is paying $48.5 billion to buy satellite TV operator DirecTV. The company says the deal will drive down for cable subscribers. That’s not how the cable providers themselves might spin it. Indeed, in a regulatory filing earlier this month for its $48.5 billion DirecTV buy, AT&T contends that it will be better equipped to compete with Comcast once DirecTV is part of the fold, which means benefits to its subscribers. “Millions of consumers will benefit from new and improved bundles of broadband, video, and—due to AT&T’s advanced network and nationwide customer base in mobile communications—wireless services,” AT&T says in the executive summary of its regulatory filing. (You can read the full filing if you’ve got a lot of time on your hands and an insatiable thirst for regulatory paperwork.) 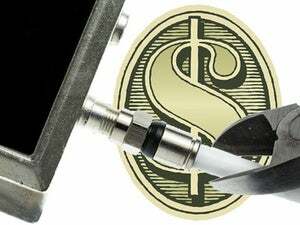 AT&T repeated its promises Tuesday in a congressional hearing into the purchase, telling lawmakers that the deal will mean more competitive pricing among cable TV providers. But read between the lines of AT&T’s promises of “creating more value for programming partners and taking advantage of broader expertise in video, broadband, and wireless,” and it’s not hard to see a scenario where cord cutters get squeezed out. It’s not just AT&T and DirecTV; a merged Comcast/TWC could control about 30 million cable subscribers, giving the merged company tremendous clout when it comes time to negotiate with TV content producers. And that’s the big concern here: merged giants like AT&T/DirecTV and Comcast/TWC would be in an enhanced position to negotiate exclusives, preventing cord-cutters from seeing their favorite content online, especially live sports. And while programming may be at the front of the mind for cord cutters, there’s also the matter of Internet access. A combined Comcast/Time Warner Cable, for example, is well positioned to offer even more preferential terms to people who bundle cable and Internet service into a single package, while penalizing cord cutters who just want broadband. And that’s going to motivate mega-providers like the combined AT&T/DirecTV and an expanded Comcast to push multi-service bundling even further. The goal? Keep subscribers paying for content they don’t want in order to get access to what they do. From the perspective of AT&T and Comcast, cord cutting is bad for business. And that’s why their current business practices are aimed at frustrating it. What’s a cord cutter to do? With cord cutters turning to streaming services like Netflix for their entertainment, the cost of broadband access becomes a major concern. Despite the current wave of content distributor tactics, there are ways for cord-cutters to get much of the programing they desire without submitting to Big Cable/Fiber/Satellite. But the fact remains that the content distributors understand the ramifications of cord cutting to their bottom lines, and are thus motivated to do everything they can to make cord cutting as unattractive as possible. To be fair, not all of the content distributors’ tactics are negative. For instance, Dish Network is said to be putting together a basic over-the-top service that, for $20 to $30 a month, would give cord cutters access to some Disney-owned networks online, including ABC and ESPN. In the meantime, cord cutters would be well-advised to watch out for further mergers and to track the progress of the AT&T/DirecTV and Comcast/TWC deals. Just because you’ve walked away from a cable provider doesn’t mean their influence over how you access programming has come to an end.